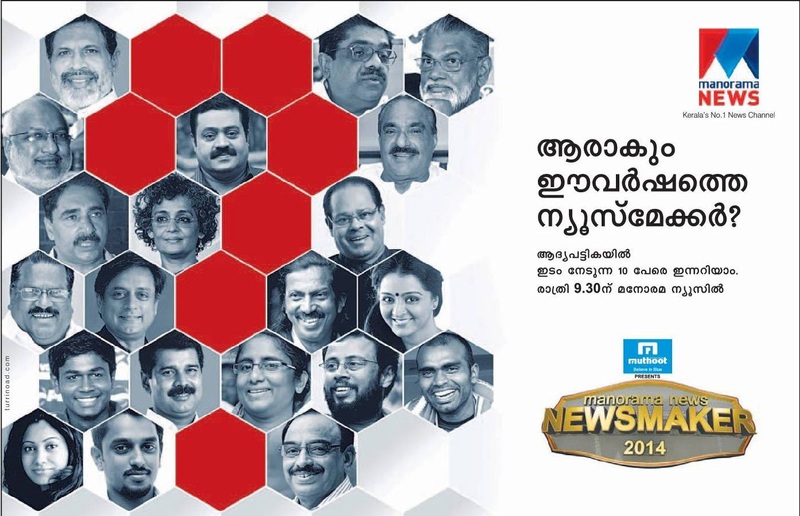 Manorama News Channel Presents the Annual Newsmaker Awards, This Time Its Manorama News News Maker 2014. They Have Listed the 10 persons for to pick the news maker. This is the preliminary list of the contestants for news maker 2014. They will pick 4 from the list for final rounds. Viewers can vote for News makers through sms, gprs, manoramaonline.com etc to pick the persons to final round. Rishiraj Singh IPS was the winner of Manorama News Newsmaker 2013. Dr. K. Radhakrishnan Indian scientist and chairman of Indian Space Research Organisation (ISRO). Anjali Menon Cinema – Anjali Menon is a very popular film writer and director, her Latest film was bangalore days. PR Sreejesh Sports – He Is The Indian field hockey player, goalkeeper in the Indian national team.